All the online challenges we’ve seen recently have been dangerous and stupid . . . like the “Hot Water Challenge,” or the “In My Feelings” challenge where kids are jumping out of moving cars. So it’s nice to see one that’s KIND, instead of pointless and potentially fatal. 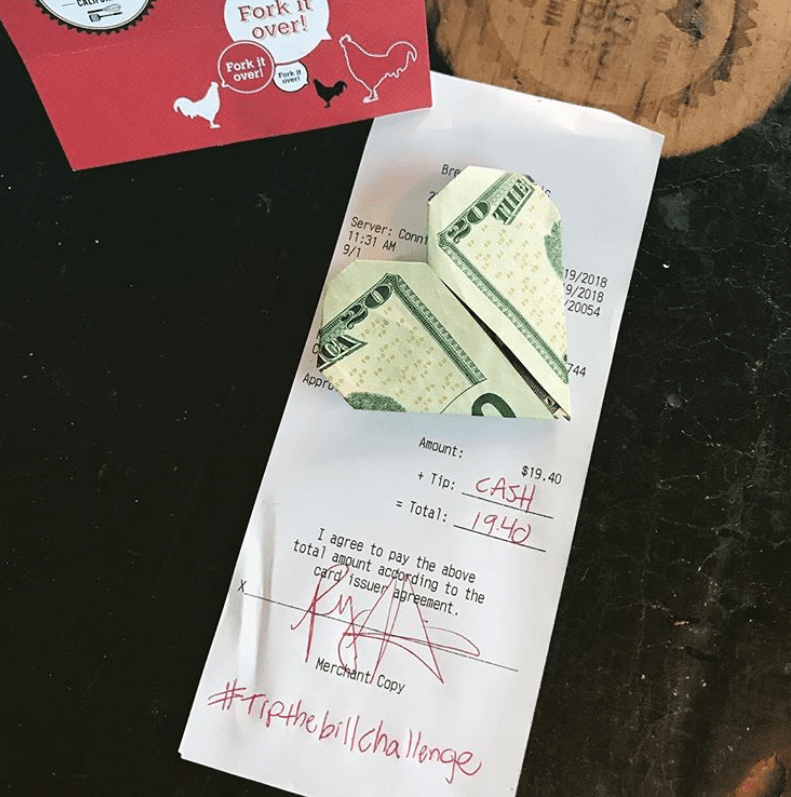 There’s a new trend called the “Tip the Bill Challenge,” where people are tipping servers 100%. So if your bill is $25, you add a $25 tip on top of it. And some people have left WAY more than that. Then you post the receipt online. So one reason it’s popular is you get to BRAG about it to your friends.